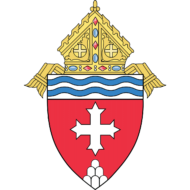 The Tribunal is the judicial arm of governance in the Diocese of Memphis. It abides by and upholds the canon law of the Roman Catholic Church and promotes the pastoral welfare of the Christian faithful. All Tribunal forms can be completed on your computer if you have the software and can use it, or printed and completed by hand. Please write legibly. As a scanned .pdf attachment to an email to: angela.canale@cc.cdom.org. PLEASE KEEP A PHOTOCOPY OF ANYTHING YOU BRING OR SEND TO THE TRIBUNAL! MAIL AND DOCUMENTS CAN BE LOST! Make certain that all documents are included with the Basic Data Form as requested or provide an explanation. If you need help, contact Angela at angela.canale@cc.cdom.org or (901) 373-1200.